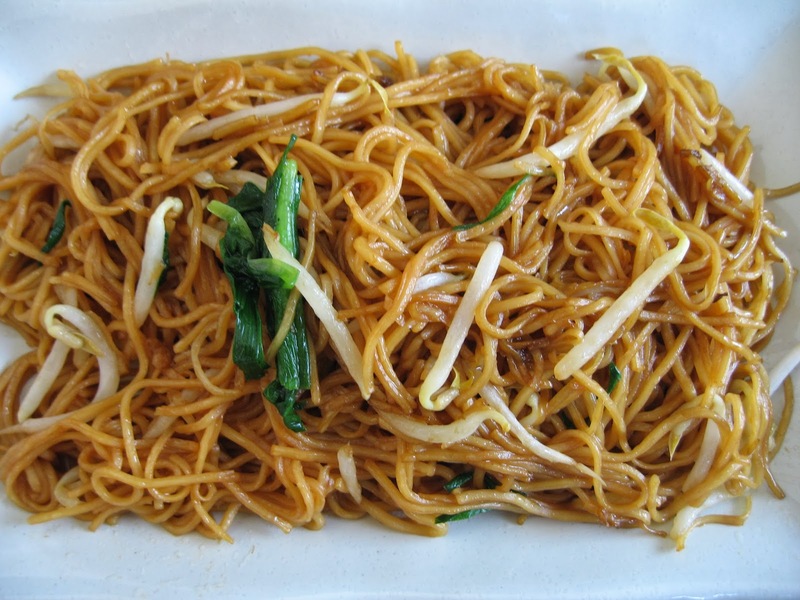 This supreme soy sauce fried noodles is perfect for our breakfast on the first day of the Chinese New Year. It is wholly vegetarian. Our family observes a vegetarian diet on the first half day of the Lunar Chinese New Year. 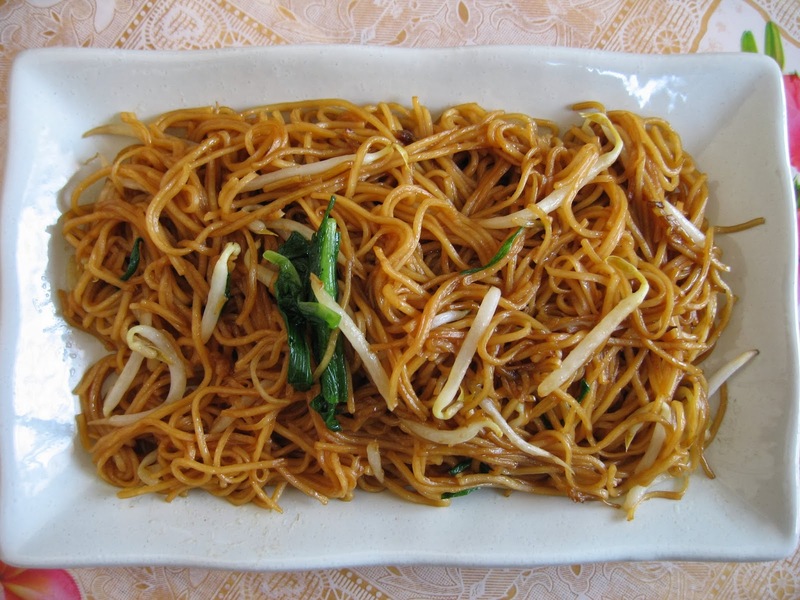 A tasty vegetarian noodle dish. We like its simplicity. Mix the sauce ingredients together. Make sure the sugar is dissolved completely. Set aside. 1. Bring half a pot of water to the boil. When boiling add in the egg noodles and boil for 3 minutes or according to package instructions. Drain away the boiling water and rinse noodles with running water. Drain well and set aside. 2. Heat oil in wok over high heat. Add 1 tbsp oil. 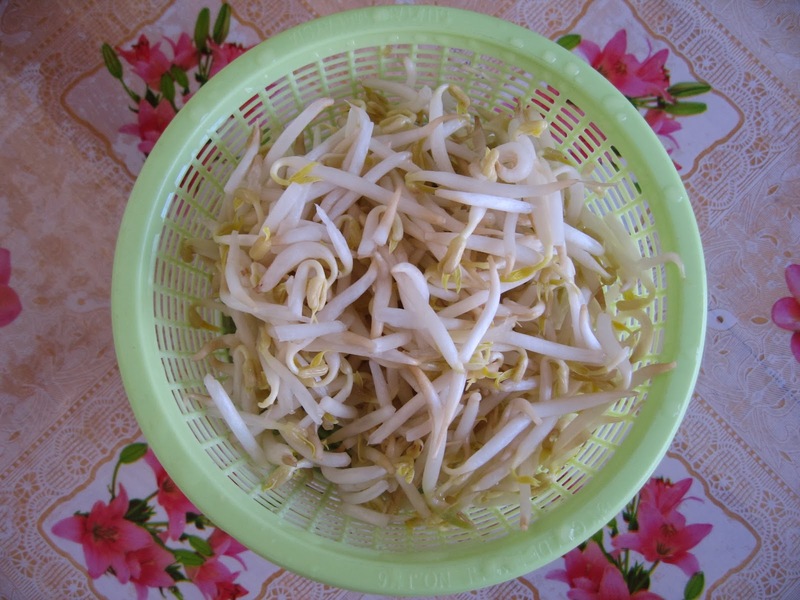 Quickly stir-fry the bean sprouts for 1 minute. Remove and set aside. 3. Using the same wok, add 1 tbsp oil and stir-fry chives over high heat for 1 minute. Remove and set aside. 4. Add 3 tbsp oil to the same wok, saute onion slices and grated ginger until slightly brown. Add in noodles. Use a pair of chopsticks to loosen the noodles. Add in the sauce ingredients in a steady stream and combine the noodles well. 5. 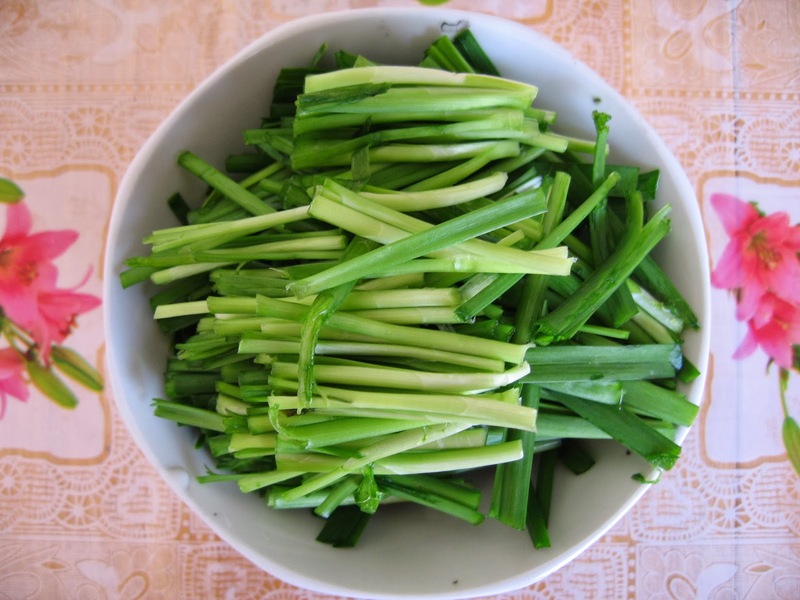 Toss in the bean sprouts and chives and mix well. 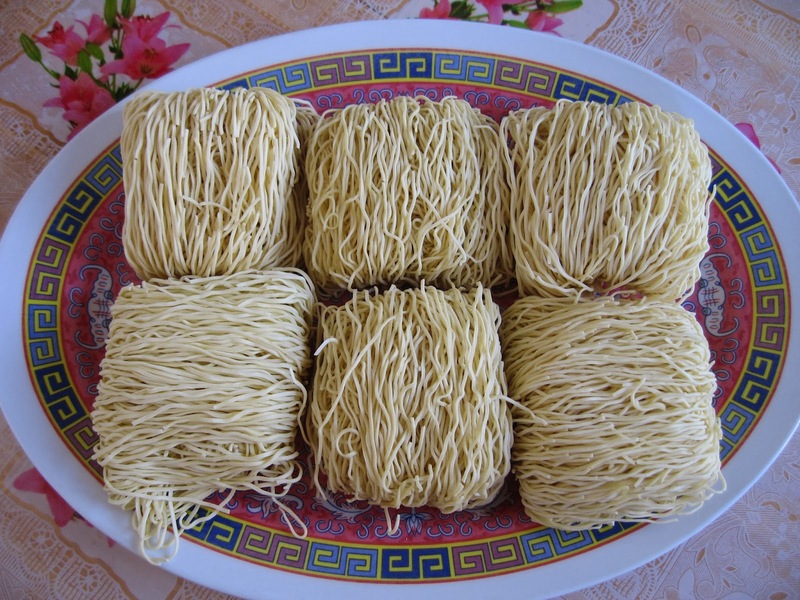 Hi Doris, I enjoy eating this kind of noodles.... just plain with beansprouts can be really nice too :) Would definitely love a bowl of this for my breakfast too. Sometimes the simpler the food, the better it tastes. This dish looks so simple and yummy! But I have to say... is oyster sauce vegetarian? There are vegetarian oyster sauce available in the market.